Xander Schauffele rallies in regulation and wins with a birdie on the first playoff hole in Shanghai. (AP Photo/Ng Han Guan) Tony Finau of Lehi reacts after finishing round three of the HSBC Champions golf tournament held at the Sheshan International Golf Club in Shanghai. The golf world expects Salt Lake City native Tony Finau to start winning a bunch of tournaments. 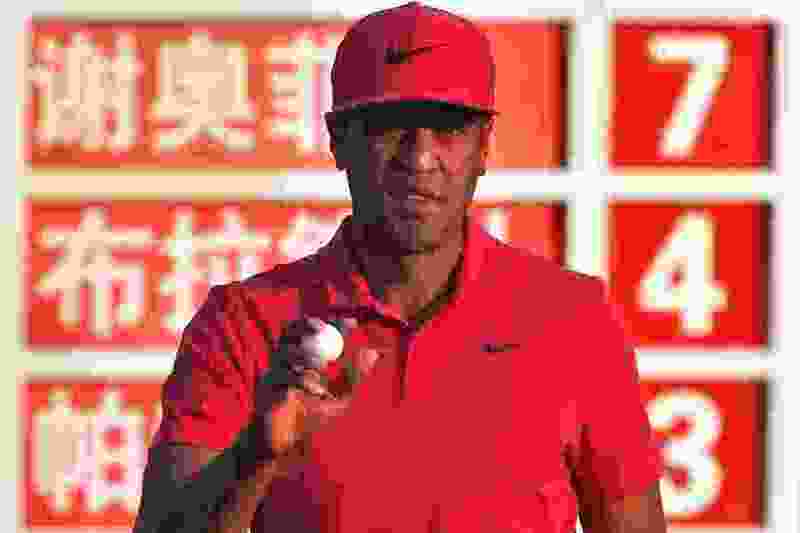 A second-place finish in a World Golf Championship event in China continued Finau’s upward trend in the game, only without the reward of a prestigious victory. Xander Schauffele, one of Finau’s best friends on the PGA Tour, caught him with a late birdie in regulation and made another birdie on the first playoff hole Sunday to win the HSBC Champions title in Shanghai. Finau finished second three times during the tour’s 2017-18 season, including one of the FedEx Cup Playoffs events. His only PGA Tour win has come in a playoff in the 2016 Puerto Rico Open, a tournament that had a low-profile field because it coincided with a WGC event. Finau entered the final round with a three-stroke lead over Schauffele and Justin Rose. Schauffele pulled into the tie with a 68 that included a birdie on No. 17, after he trailed by one shot. Each player birdied the par-5 No. 18 to conclude the round. In the playoff, Finau was forced to lay up after driving into a fairway bunker, with the ball settling near the lip. He ended up missing a 20-foot birdie putt; Schauffele hit the green in two shots and made a two-putt birdie. Finau was picked over Schauffele as a member of the U.S. Ryder Cup team in September. Schauffele deflected any suggestion of revenge Sunday, citing his friendship with Finau. The HSBC Champions was the fourth and final WGC event of the calendar year, but it’s part of the PGA Tour’s 2018-19 schedule. So Finau is off to another strong start, after having finished second in the Safeway Open last October to begin his ’17-18 season. Second place was worth $1,072,000 and lifted him to No. 6 in the FedEx Cup standings. He’s scheduled to play in this week’s Shriners Hospitals for Children Open in Las Vegas. Finau would have become the second Utah resident to win a WGC event, following Mike Weir’s 2000 victory in Spain.